East Division rivals will face their final pre-season test on Friday night, when the Ottawa REDBLACKS and Hamilton Tiger-Cats clash at Tim Hortons Field. Although there may not be as much on the line compared to when the two teams last faced each other in the 2015 Eastern Final, there’s still plenty to play for. The deadline for each team to make final cuts and reduce their rosters to 46 active players is June 19, meaning Friday will be the last opportunity for players from both teams to prove their worth and showcase their skills in a game situation. While the REDBLACKS are leaving the majority of their starters back in Ottawa after winning their pre-season opener 18-14 over the Winnipeg Blue Bombers on Monday, the Ticats in particular face some important questions entering the finale. They start at quarterback, where Jeremiah Masoli and Jeff Mathews are vying for the opportunity to start on June 23 in the team’s season-opener vs. the Argos at BMO Field. While Zach Collaros continues his rehab from a torn ACL, one of Masoli or Mathews will get a valuable opportunity at the helm of the Ticats’ offence. Masoli will once again get the start at pivot for the Ticats on Friday night after going 6-of-9 for 43 yards in Hamilton’s opening preseason game on June 11; a 25-16 loss to the rival Toronto Argonauts. Masoli has started both games but Austin says the position remains wide open. Evaluating the quarterbacks was easier said than done against the Argos, when Masoli and the offence could only get on the field twice in the first quarter. The Argo offence orchestrated two long scoring drives while the Ticats were blanked 10-0 in the first 15 minutes. After Masoli exited, two long field goals by Brett Maher and a 50-yard touchdown pass from Mathews to Tiquan Underwood put Hamilton up 13-10 at halftime. The Ticats were unable to hold off a 12-point, fourth-quarter surge from the Argos and managed only a field goal in the entire second half as most of the starters were held out after halftime. After all four quarterbacks saw the field last weekend, an injury to Jacory Harris has put him on the six-game list, meaning Jake Waters could also get substantial playing time. Equally important is what happens on the defensive side of the ball. With Chase Minnifield released and Demond Washington placed on the six-game injured list, the Ticats have two cornerback positions to fill. Courtney Stephen held down the position for the Ticats in the past but has moved to safety in place of Craig Butler, who’s lost for the season. Defensive coordinator Orlondo Steinauer says that now is the time for players to step up. “I would hope that they as players would relish this opportunity,” Steinauer said after Wednesday’s practice. “Maybe they were a number two on the depth chart last week, but now they’re the guy. All you can really give people in this game is opportunity. And that’s just true in life. 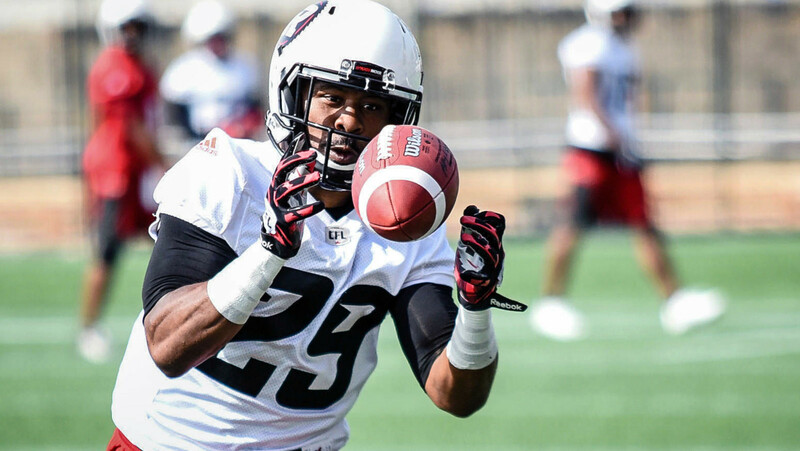 The REDBLACKS are coming off of an 18-14 victory over the Blue Bombers on June 13 that should give them plenty of confidence going into the regular season. That was especially crucial considering the short layoff between games, as most of the team’s starters are not traveling to Hamilton. Head Coach Rick Campbell and the REDBLACKS will go on the road soon after, where they’ll open their season on June 25 in Edmonton in a Grey Cup rematch. “We’re expecting to not take as many as 30 people on this trip,” Campbell told OttawaREDBLACKS.com. “The motivation behind that is that we’re trying to do everything we can to be ready to go for Edmonton on the 25. Fans had a chance to see what last year’s league-leading offence could do under new offensive coordinator Jaime Elizondo, as the first-team unit was in mid-season form against the Bombers. Ottawa’s one-two punch at quarterback was on full display, as both Henry Burris and Trevor Harris looked impressive at pivot. Burris paced the REDBLACKS in the first half by completing 13-of-21 passes for 158 yards and a touchdown while Harris threw 7-for-13 and 107 yards through parts of the first half and third quarter. Burris’s performance was a big reason the 41-year-old won’t be needed in Hamilton this weekend. “He got in a lot of reps, we had the ball a lot more than they did in the first half. I think he’s in a good place,” said Campbell. Danny O’Brien is listed number one on the REDBLACKS’ depth chart after getting mop-up duty in Ottawa last weekend, while none of last year’s 1,000-yard receivers will be dressing. One position to watch will be running back, as Campbell suddenly must replace William Powell. Powell suffered a season-ending Achilles injury in the first half of last weekend’s game. Travis Greene, Kienan Lafrance and Travon Van are all candidates to fill that role, and all three will play in Friday’s game. 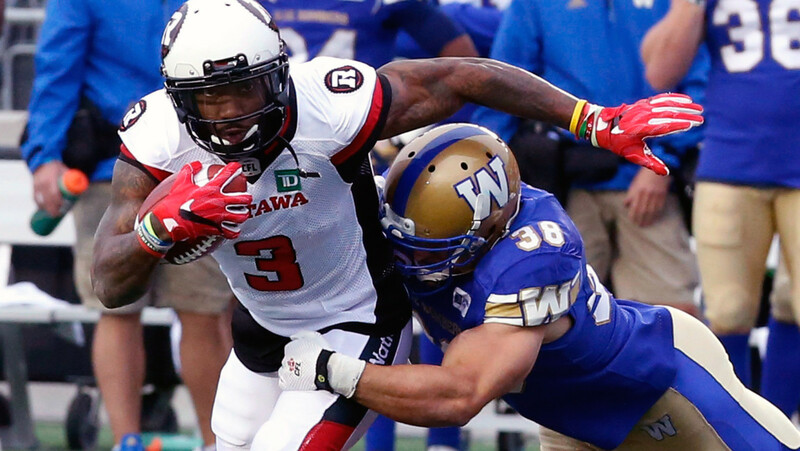 Van has stood out the most so far, dating back to the REDBLACKS’ mini-camp in April. The game will be streamed live on CFL.ca via Ticats.ca and Ticats TV, and will feature a pregame, halftime, and post-game show. The broadcast will begin at 7:00 p.m. EST with kickoff scheduled for 7:30 p.m.